Great things happen when women support one another, together we can accomplish anything! Unfortunately we sometimes forget that we need that support. Our lives get busy, we put others first too often and then we struggle with burnout. Does this sound familiar? 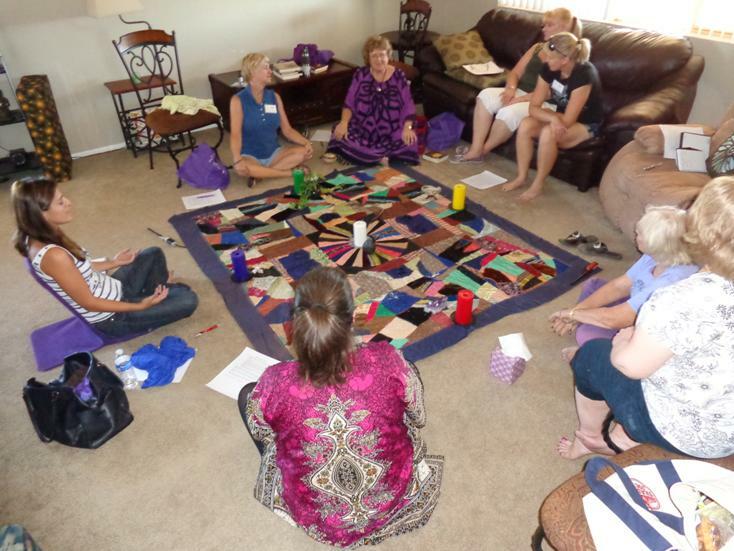 For 2015 we have revamped the Women of Peaceful Spirit Gatherings to make them deeper, more meaningful and fulfilling! This is a powerful opportunity to connect with women in a way that allows you to share your story and learn what inspires other women. Starting in January we will meet on the second Saturday of each month. Don’t stress about the arrival time…we will gather together from 3-4pm, you can arrive any time before 4:00. We will begin our first circle promptly at 4pm. Worried about dinner? Don’t be….our gathering will be a potluck. Bring a dish to share and we will continue our conversations over food. We will wrap up our gathering at 7pm. The cost is only $20 per gathering. Although the format is simple, the work will be deep. There will be love, laughter and maybe a few tears. You can expect to be awakened, engaged and inspired! 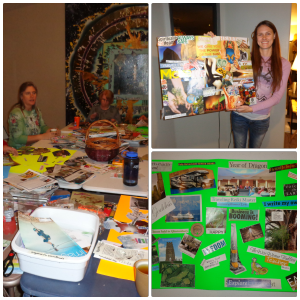 Our first gathering in January (1/10/15) will be our annual Vision Board Party. Starting in February (2/14/15) we will begin working through the chakra system. Each month we will create with a different chakra. This won’t be just a little workshop about the color of each chakra, it will be a deeper look at the energy and emotions that reside in each chakra and how they are manifesting in your life. But don’t worry, it won’t all be deep….we’ll have lots of fun! You will also be creating a keepsake as you go along. Starting with our chakra work in February you will get a bead each month that represents the corresponding chakra color. Collect and save your beads. When we complete the chakra series we will celebrate by using the beads to create a windchime! I will provide the kits so that you can make a visual and auditory reminder of your path. Did I mention that you shouldn’t worry? If you miss a bead there will be a way you can get the missing bead.